A variety of surfaces and terrains. 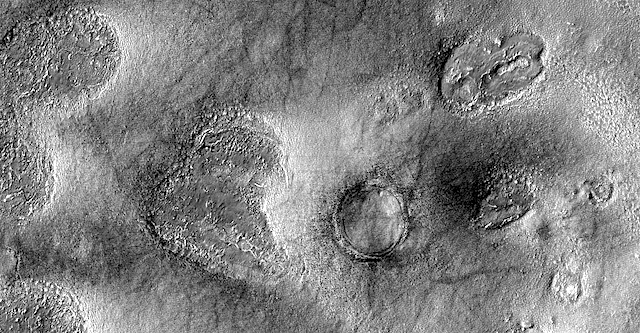 This intriguing extraterrestrial terrain is located in the far northeast part of Acidalia Planitia, located between the Tharsis volcanic province and Arabia Terra to the north of Valles Marineris. This entry was posted in Reports and tagged Acidalia Planitia, High Resolution Imaging Science Experiment, HiPOD, HiRISE, HiRISE Picture of the Day, Mars Reconnaissance Orbiter, MRO, NASA, University of Arizona. Bookmark the permalink.